Not everyone leaves their Christmas shopping until the last minute and there can't be many that enjoy fighting their way amongst a horde of fellow festive gifters. If you fancy joining the early bird brigade and wouldn't mind a sip of mulled wine whilst you pick some gorgeous Christmas gifts for your loved ones, the perfect opportunity has arisen - late night shopping has arrived! What does that mean for all you beautiful organic-ites? An opportunity to visit our So Organic store which, for those of you who haven't yet, is a bit like a plush boutique for natural and organic skin care products, baby products and home wares. 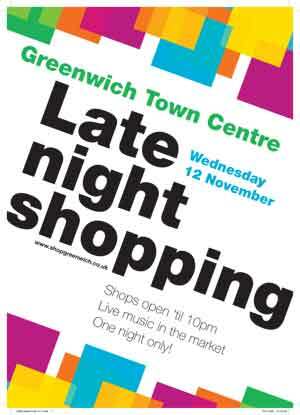 Clothes boutiques, beauticians, pubs, tea shops, jewellers, game stores, craft stalls, art galleries and sweet shops will be joining us on Wednesday the 12th of November for this evening of discounts, free gift wrapping, and special offers. There will also be live music and food stalls in the market right outside So Organic. 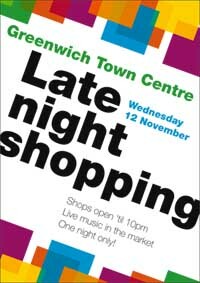 Town centre shops will stay open until 10pm. Hope to see you there early birds!